WEST SIDE STORY: CHRISTMAS BASH — Paradise by way of Kensal Green | Iconic West London pub, bar, restaurant and nightclub. 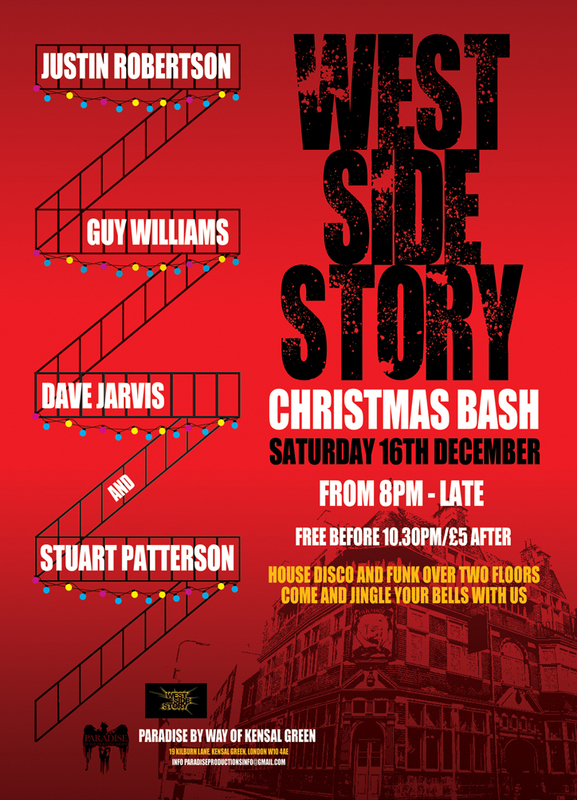 Following their Carnival party celebrating 30 years of Acid House along with over 600 other disco soldiers, West Side Story is back with a Christmas bash at the newly renovated Paradise, with a new Funktion One soundsystem fitted throughout. Otherwise it's free guelist entry before 10.30pm, £5 after.